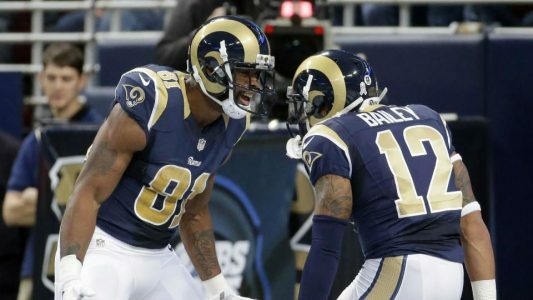 Play On: St. Louis Rams -4.5. This may seem like a lot of points to by laying this late in the season on a team that is essentially out of the playoff race against an opponent that’s tied for the best record in the league, but I believe the books have set this line for a reason. Even though the Cardinals were able to get a big win at home last week against the Chiefs, this team has clearly been headed in the wrong direction since Carson Palmer suffered a season-ending injury. Both of Arizona’s losses without Palmer have come on the road and the Cardinals weren’t all that competitive in either defeat. Arizona lost 19-3 at Seattle and 18-29 at Atlanta. They were outgained by 89 yards by the Seahawks and 171 yards by the Falcons. Adding to this is the fact that they also lost the yardage battle last week against the Chiefs. Offensively the Cardinals are not providing much of a threat at all right now and for them to score just 18 points against a horrible Atlanta defense really tells you how bad this team is on this side of the ball. Now Arizona has to face arguably the hottest defense in the league in St Louis, who is coming off back-to-back shutouts against the Raiders and Redskins. Keep in mind that this is also the same defense that limited Peyton Manning and the Broncos to just 7 points at home back in Week 11. I just don’t see the Cardinals being able to generate enough offense in this one to keep it close enough to cover. The other big key here is that I look for the St Louis offense to be able to put up some points against Arizona’s defense. The Rams are averaging 33.3 points, 331 yards and 6.2 yards/play over their last 3 games. Not only are the Cardinals in a horrible spot playing on the road with short rest, but they have been decimated by injuries on the defensive side of the ball. Last week starting corner Antonio Cromartie and linebacker Matt Shaughnessy both suffered injuries that figures to keep them out with the limited amount of days they have to recover. Keep in mind that the Cardinals are already playing without the likes of Darnell Dockett, John Abraham and Tyrann Mathieu. St Louis is 18-7 ATS in their last 25 home games off a win by 14 or more points and 10-2 ATS in their last 12 versus strong passing teams that average 7 or more yards/attempt. Adding to this is a big time system telling us to fade the Cardinals. Road underdogs of 3.5 to 10 points off an upset win as a home underdog are 18-46 ATS in conference games over the last 10 seasons. That’s a 72% system in favor of the Rams. Take St Louis! DOMINANT 57% (85-65) Run Over L150 NFL Selections! Jimmy Boyd is currently the #10 Ranked Handicapper Overall in 2014 and is currently working on a Red-Hot 106-84 (56%) All-Sports Hot Streak over the last 35 days! Destroy your bookie and build up your bankroll Thursday with Boyd’s Cardinals/Rams NFL Total No Brainer! You will be betting with confidence behind a Sizzling 70% System that’s gone 42-18 since 1983! You areGUARANTEED TO WIN or you will receive Jimmy’s next football card for FREE!